Take the Kale Trail - Kale Greens At Their Finest! | Nice and leafy! 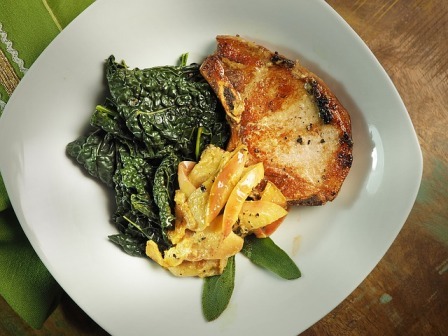 Take the Kale Trail – Kale Greens At Their Finest! 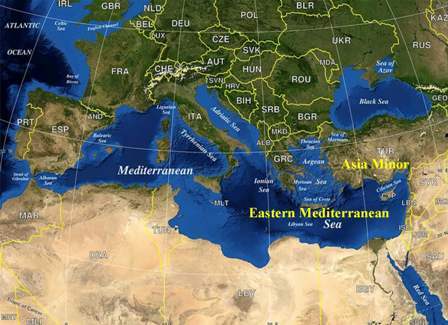 A couple thousand years before Christ was born, kale greens were a cultivated food in the areas of the eastern Mediterranean Sea – now home to Syria, Israel, Turkey, Egypt, Jordan, Cyprus, Greece, Lebanon, and Palestine. This dark, leafy veggie was not only a food source but, it was widely distributed as a cure for bowel problems – like constipation. Throughout the years, additional medicinal uses were found because of kale’s high concentration of fiber, antioxidants, and overabundance of vitamins and minerals. Since it packed such a healthy punch, kale became useful for preventing or reducing the effects of a range of cancers, heart disease, diabetes, intestinal disorders such as Crohn’s disease, vision loss – and even hot flashes and hangovers. In the 1800’s, kale found its way to North America – and became instantly popular – because, it was so easy to grow and provided so many nutrients. 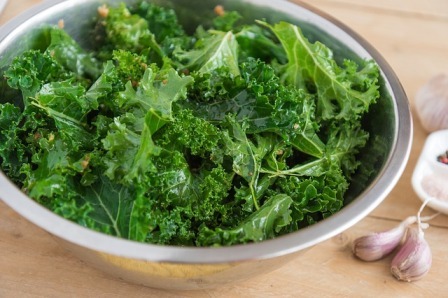 Due to kale’s iron rich content, people with a certain type of “iron overload” anemia – hypochromic microcytic anemia (HMA) – have to limit their consumption of kale to very small quantities. Of course, these folks can’t readily eat red meat either. Those with HMA know that their iron levels have sky rocketed when they see the pale color of their skin and begin to experience excessively low energy. The surplus iron loads up their liver, heart, and pancreas – possibly causing life threatening diseases of the liver and heart – as well as diabetes. Raw Kale – Cooked Kale – Which is Best? Any food concoction that uses lettuce – can use kale. I like my kale raw – but, I don’t like my kale bitter – and, some kale varieties can be a bit acrid. To overcome this obstacle, I massage my kale. Yep! You heard me correctly – I massage my kale. Upon harvesting kale leaves from my backyard garden, I give them a good kneading. Smashing kale breaks up their stiff fibers and tenderizes their leaves. 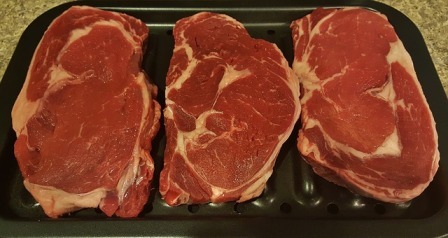 Then, I thoroughly rinse them to remove most of the bitter juices that escaped during their rubdown. Neat trick, huh? You can also soak the leaves for an hour or two in some water – to soften them a bit. But, that won’t remove the bitter juices. Mexican” without the tortilla calories. I also enjoy kale sautéed or braised with butter and garlic – sometimes adding some nuts for a good crunch. But, get a ton of fresh kale to start with – because it will cook down to almost nothing – just like spinach! Many of my stews and soups end up getting a healthy dose of kale, too. Don’t forget kale chips as an alternative to potato chips. Sprinkle broken up kale leaves with a little olive oil – a little salt – maybe, a little garlic powder – then oven bake them until the edges just start to turn brown – 325 oF (163 oC) for 10 or 15 minutes. 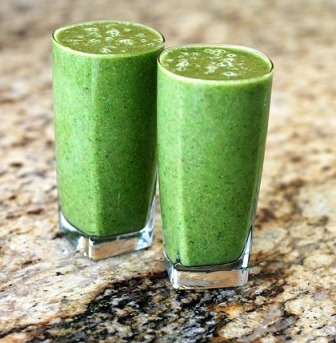 Lastly, who can resist an ice cold kale smoothie – with some bananas, orange juice, vanilla extract, honey, and crushed ice? It sure cools you down on a hot summer afternoon! I can whip this up very quickly with my Ninja MEGA Kitchen System BL770. Kale is catalogued by the length of the stem, the type and color of their leaves, and the purpose for which they are grown. The garden varieties have leaves that can be light green, green, dark green, violet green, or even violet brown. The ornamental varieties come in very showy colors like creamy white, pink, rose, red, and purple. Many gardeners sprinkle their flower beds with ornamental kale – creating a beautiful presentation of edible leaves throughout their landscape. Curly leaf – as seen with blue curled kale and Scottish kale. 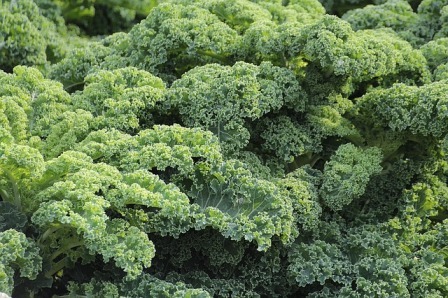 Bumpy leaf – which translates into Tuscan kale – otherwise known as Lacinato or dinosaur kale. 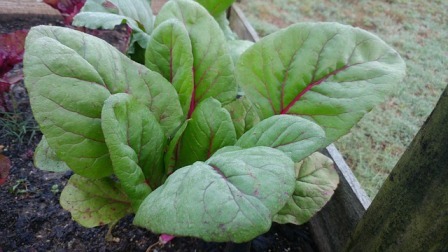 Plain leaf – with wide, smooth leaves – for instance, Beira kale – which looks a lot like collard greens. Leaf and spear – a hybrid combination of curly leaf kale and plain leaf kale. 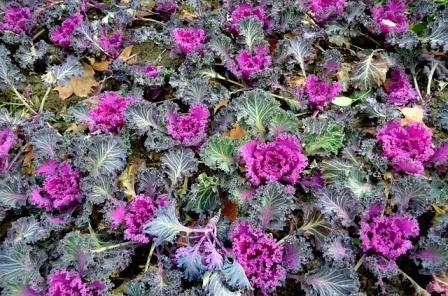 Whatever the kale type – be it the garden or ornamental variety – it is edible. However, the decorative versions may be a tougher and bitterer. But, by using my massage technique, even the toughest most bitter tasting kale can be improved enough to be utterly enjoyed by anyone who is repelled by things that are bitter or sour. 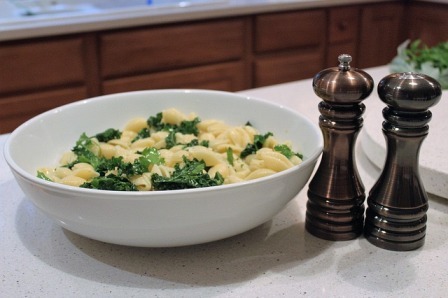 My kale favorites can be found right here! Kale is such a cool weather veggie that it can withstand cold weather up to and including a heavy frost – and come out of it tasting sweeter every time. You can be picking leaves for the dinner table all the way through the winter months – well into late spring and early summer. In cooler climates, kale is planted in the early spring for an early summer harvest – or, in mid to late summer for fall picking. Home gardeners who live south of the Mason Dixon line, on the other hand, have to cope with a warmer, more humid environment. 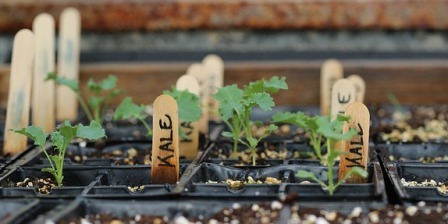 Thus kale is sown mostly in the fall. For those of you who prefer to germinate seeds, transplant seedlings, and harden off plants before embedding them in the garden, get the process going a couple of months before planting time. It takes anywhere from 10 days to 3 weeks for the seeds to pop up out of the soil. Personally, I stick the seeds directly into the garden – in an open area in that exposes the plants to at least 6 hours of sunshine. Till the soil to at least 6 inches deep. Sprinkle seeds along the row every inch or two. Cover the seeds with a quarter inch of Jim’s 50/50 soil mixture. If you’ve got plants that you’ve cultivated indoors – instead of seeds – dig a hole twice the size of the loosened root ball and fill in around it with Jim’s 50/50 soil mixture. Space the plants about a foot apart. Press the soil mixture firmly over the seeds or around the base of the plants. Water well and continue to give the kale an inch of water a week. Space the rows about 2 feet apart. When the young plants are about 6 inches high, thin them to at least a foot apart along the row. Then, mulch around the plants to retain moisture and discourage weed growth. 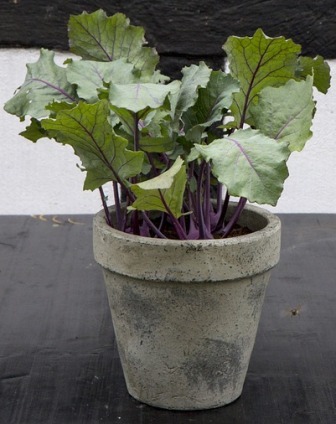 Kale is container friendly, too – so, you can grow them on your patio or inside your home – as long as they can get enough light from the sun or from grow lights. You can remove kale leaves anytime you see them. The leaves will have a sweeter flavor if picked after a frost. I like to pick leaves after they are about 6 inches long. But, don’t remove the “central bud” because, it will continuously grow new leaves. Raw kale can be kept in a refrigerator up to a week in a ziplock bag. Don’t massage it or wash it until you’re ready to use it. Eventually, in the head of midsummer, kale will begin to bolt – just like many other leafy members of its Brassica kin – spinach, cabbage, collard greens, etc. 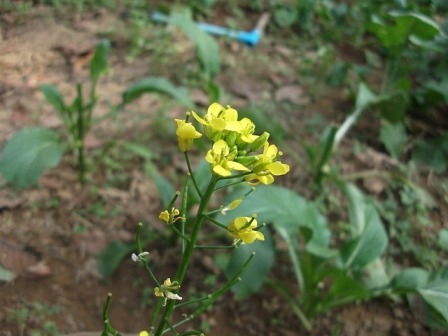 But, the characteristic increase in bitterness is not as great as the others – and, the bolting kale flowers can be used in salads and cooked dishes. The main enemy of kale is the aphid. They can normally be hosed off with water. 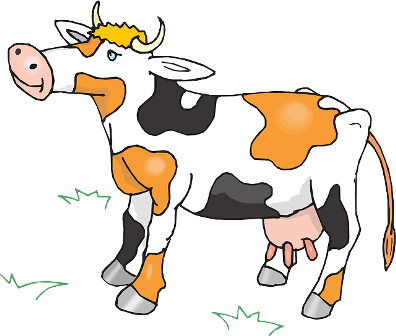 Companion planting with plants that go well with lettuce will also go well with kale – or with catnip, chives, clover, coriander (cilantro), dill, fennel, nasturtiums, peppermint, petunias, radish, spearmint, or sunflowers – will often keep aphids away. But, if the infestation is too great, an insecticide like Ortho Flower, Fruit and Vegetable Insect Killer will take care of them, along with any other pests that may attack – like caterpillars and cabbage bugs. 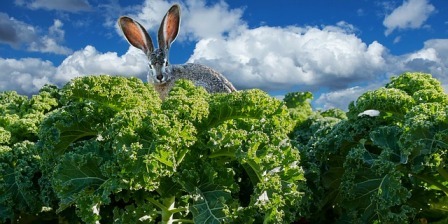 Rabbits completely adore kale – even more than they do lettuce. If you have a lot of these furry little mammals around, you might want to consider fencing off your plants or laying some garden netting over the kale to minimize their access to this succulent food source. 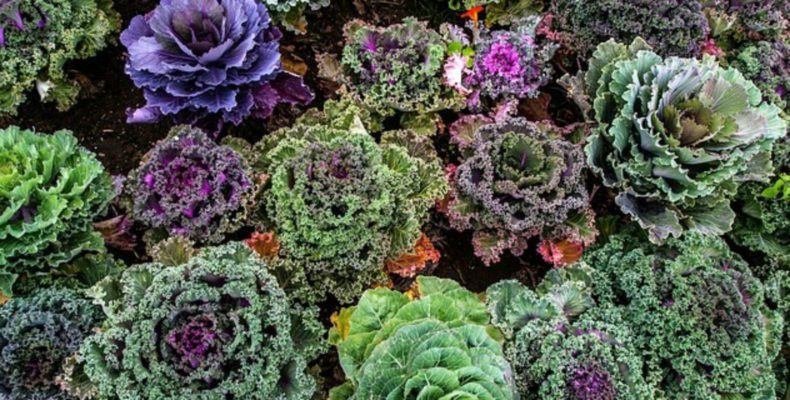 Just like other leafy vegetables, kale is prone to attacks by fungus diseases like downy or powdery mildew, or varieties of “leaf spot.” A good dose of the fungicide, Daconil, will make short work of controlling these diseases – if caught early. If it’s too late and the plant is decimated, remove it, bag it, and trash it. Don’t dump it anywhere that may give it a chance to find a way back into the garden next year. In other words, the compost pile is off limits for diseased plants. 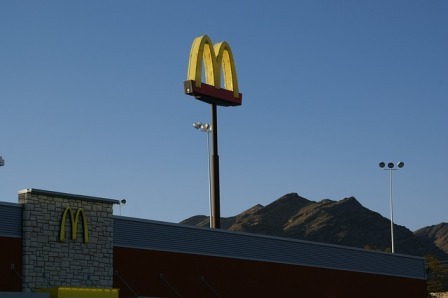 My neighbor, Jed, the retired farmer, told me that he went to McDonald’s the other day and, they told him that they are now adding kale to their salads. Jed said, “I asked them two questions. What is kale? And, what is a salad? Then, Jed told me about a woman in the neighborhood that planned on giving out kale for Halloween this year. I couldn’t believe it so I asked him which house she lived in? I guess Jed is not a kale lover! By the way, did you know that rich people eat a special variety of kale? It’s called, ups-kale! Please offer some kale comments below or drop me an email. Great write up on kale. I have only been eating it for the last 10 years. It’s probably one of my favorite superfoods. But I don’t like it raw. For me it has to be baked into kale chips. Otherwise the bitter taste makes it hard to swallow. Glad to see that you massage your kale, I have never heard of that being done before. Maybe I will give it try. Jed sounds like he has a great sense of humor. Maybe you could get him to massage the kale. I wonder what he would say about that? On a more serious note, one of the main reasons I started having kale was because of being diagnosed with cancer. Cancer is now in remission. I always wonder how much did kale contribute to this. Great article. Love it! Now I will go eat some more kale. I’m glad to meet another kale connoisseur. The bitter taste can get to me, also – but, massaging it will make it almost as sweet as curly leaf lettuce. I’m glad to hear that you have your cancer under control. I’m sure that eating kale, along with other healthy vegetables contributed to your success! Take care of yourself. And, stop by from time to time – and, let me know how you’re doing!